ESPN could add a football expert to the regular cast or otherwise tinker with the ratings-starved show. ESPN’s morning show Get Up has not gotten off to the start anyone in Bristol hoped it would. Ratings were low right from the start and haven’t improved much since. According to @DidGetUpGet300K, a Twitter account dedicated entirely to tracking how many people watch Get Up, the show has cracked 300,000 viewers only nine times in 41 shows. 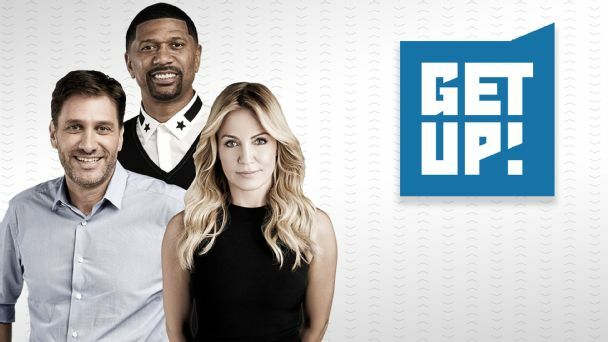 Whether because of narratives around the show, competition with SportsCenter on ESPN2 or the actual content of the program, Get Up isn’t finding an audience, isn’t generating buzz and certainly isn’t justifying its massive cost and rollout. So with all that in mind, it’s no surprise that ESPN seems to be getting antsy. Per Michael McCarthy of Sporting News, the network has circled September 6, the start of the NFL season, as the date by which Get Up must turn around its ratings. If things don’t improve by then, McCarthy reports, ESPN brass could make some dramatic changes, including to the show’s cast. The result? The expensive “Get Up” is on a short leash, sources said. No, it won’t be canceled this year. But if the show doesn’t jell by the Sep. 6 kickoff of the NFL season, look for changes in front of and behind the camera, sources said. Football season is when sports talks shows make their money. “Get Up” show-runners might add a fourth football expert alongside Beadle and Rose, who also co-star on “NBA Countdown.” Possible candidates include ESPN football analysts Ryan Clark, Booger McFarland and Damien Woody. ESPN executive Connor Schell confirmed to McCarthy that the network had its eyes on football season but characterized Get Up not as a disaster but as a work in progress. As ESPN’s executive vice president of content, Connor Schell serves as the network’s top programming czar. Schell won’t say whether ESPN is planning major changes to “Get Up.” But that wouldn’t be unusual for a new show still finding its way. Even as Schell tries to play things cool here, it’s clear that the stakes are pretty high for Get Up. ESPN spent a lot of money and marketing capital on this show, while moving three highly successful broadcasters (in co-hosts Michelle Beadle, Jalen Rose and Mike Greenberg) off well-regarded programs. If ESPN were forced to give up on Get Up, not long after ending the long-hyped SC6, that would mark two straight years that the network invested heavily in a show only to can it, which would send a troubling message about its ability to produce and promote well-watched talk shows.